Barry von Steinen became an executive recruiter in 1989. After having been a design engineer for GM Cadillac for five years, he decided to parlay his engineering education and automotive experience in a sales & marketing career.For four years Barry was mentored by the managing partners of a leading retained search firm. Independent of the partners, Barry’s focus was on automotive plastics and electronics. In 1993 Barry embarked on launching an executive search firm solely focused on polymers, lighting, and advanced electronics, so began Polymer Menschen. In 2003 Barry changed the focus of Polymer Menschen beyond automotive and into all segments that utilizes LED light source, optics, and advance electronics. The company named evolved to Polumaire Menschen, exhibiting the focus on Illumination. Tom was born and raised in The Netherlands. Having a passion for transport systems and the port of Rotterdam being in his backyard it was almost natural that he started his career in transport and logistics at the Royal Nedlloyd Group. After 8 years at this company he moved to France to pursue his career at Hewlett-Packard and the global logistics company DHL where he held a Director’s position, responsible for a team of 100 people. In France, he met his wife who got a job opportunity offered in the United States. It was the right time for a change and Tom and his wife and two children moved to Nevada. It was there where Tom met Barry von Steinen, founder of Polumaire. Being interested in the inter-personal and other aspects of recruiting he joined Barry’s team. 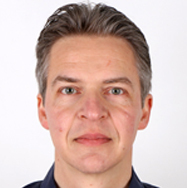 In view of Tom’s background he focusses on Polumaire’s customers and activities in Europe. Now based in Michigan, Tom takes pleasure in helping both his candidates and customers grow. His charisma and experience in a leadership’s role at DHL make Tom effective in the evaluation of candidates and in the interaction with customers. He has a well structured approach and speaks English, French, German and Dutch. Nathaniel Conn brings over 25 years of experience in Automotive recruiting in the areas of vehicle systems, embedded software, sales, program management, product engineering and manufacturing. 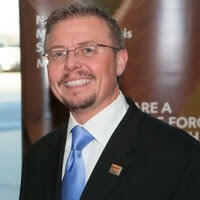 He has held management positions in Talent Acquisition at Faurecia and Siemens. 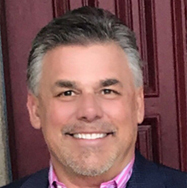 His diverse background includes consulting for the development of recruiting systems for Delphi Automotive, Rockwell Collins, Freudenberg-NOK and Daifuku Webb. Nathaniel earned his Bachelor of Science in Political Science and Economics from Grand Valley State University, and his MBA from Walsh College. Mark Nicholson, co-founder of BLD Lighting in 2016, has over 20 years’ experience in the global lighting space, with particular focus on the Asia Pacific market. Through his various roles in asset management and global distribution and sales, he has been at the forefront of the revolutionary LED marketplace. Mark began his lighting career at Future Lighting Solutions, and has since held senior management positions at Philips Lumileds Lighting Company and Soitec Lighting. His expertise spans asset management, major account management, global distribution account management, global sales, and global sales operations. Mark’s extensive exposure to the Asia Pacific lighting marketplace has given him an insider’s knowledge of the region’s unique requirements, including customer expectations, competitors, and future growth opportunities. Mark holds a Master of Arts (MA) from the University of Edinburgh and a diploma in Banking & Finance (Corporate Finance, International Trade, Money Markets, FX) from the University of Stirling. 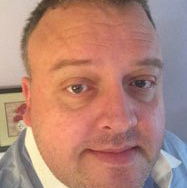 Dr. Scott Kern, co-founder of BLD Lighting in 2016, brings an extensive and diverse background consisting of more that 25 years of experience in the LED industry. 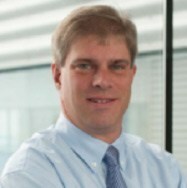 He started his career in the R&D Department of Hewlett-Packard’s Optoelectronics Division and, over the succeeding years, he has held management positions at Hewlett-Packard, Agilent Technologies (a spin-off of Hewlett-Packard), Lumileds Lighting (a joint venture between Agilent and Philips Lighting), Philips Lumileds and Soitec Lighting in the areas of R&D, manufacturing, new business creation, product development, strategic marketing, technical marketing, product marketing, sales and general management. Dr. Kern received his Bachelor of Science degree in Ceramic Engineering from Clemson University and his Doctor of Philosophy degree in Materials Science and Engineering from North Carolina State University. He is the primary author of more than 50 published journal papers and book chapters as well as a contributing author on more than 200 other articles in the field of LEDs and wide-band-gap technologies. He is the primary holder of five patents and a contributor on 25 others.